Ali Wells, the curator at the Herbert Art Gallery & Museum got in touch with us to let us know about an FAB exhibition of classic British children’s television. 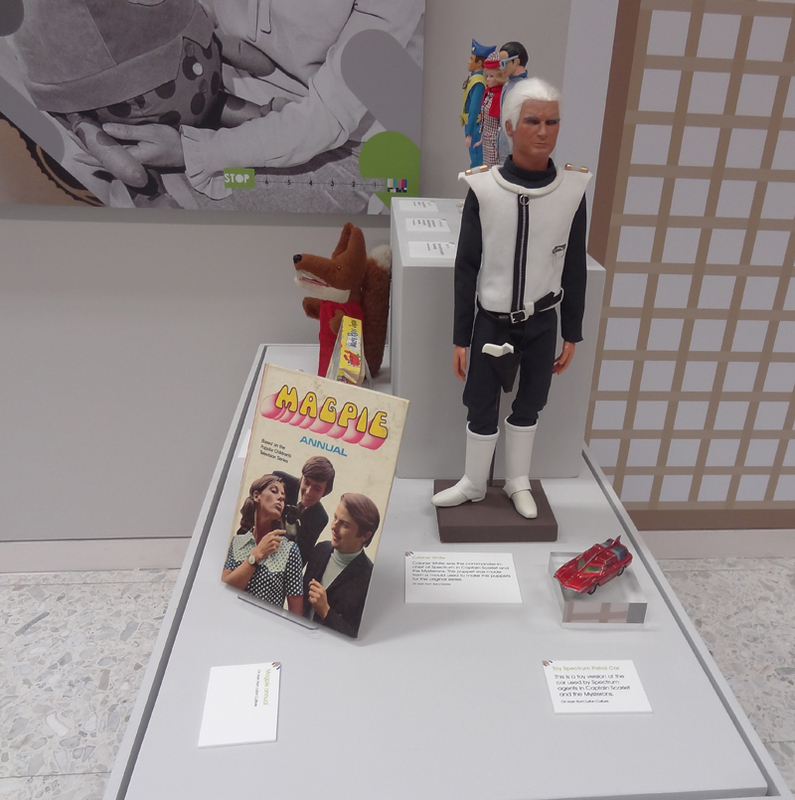 In today’s guest blog she’s going to tell you a little more about how the work of Gerry Anderson contributed to the exhibition and where you can see it for yourself! Earlier this year the Herbert Art Gallery & Museum, in partnership with the Department of Film and Television Studies at University of Warwick, created a unique exhibition exploring children’s television in Britain since the Second World War. The exhibition traces the fascinating history of children’s television, bringing together seven decades of iconic objects, memorabilia, merchandise, clips and images. It would not have been complete without reference to AP Films and Supermarionation! A model of Colonel White made for Filmed in Supermarionation stars alongside some of the toys made for the original series – Brains, Virgil and Lady Penelope as well as Captain Scarlet’s Spectrum Patrol Car. Supermarionation featured in the themed section about puppets – highlighting its key position in the history of children’s TV. In addition to all this the Blue Peter section includes an original prototype for Anthea Turner’s Tracy Island ‘make’ for Christmas 1992. The exhibition finished at the Herbert in September and started its UK tour in Portsmouth City Museum where you can see it until 28th February 2016. Keep an eye out for a venue near you! The exhibition was supported by the Heritage Lottery Fund, BBC, Ragdoll Productions, ITV, Kaleidoscope and the Children’s Media Foundation.